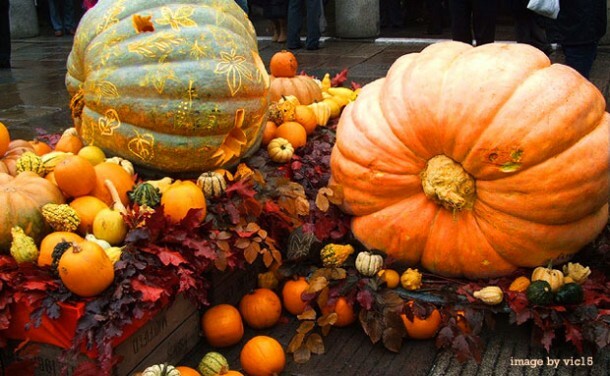 Pumpkins belong to the family of vegetables known as Cucurbitaceae that also includes cucumbers and melons. 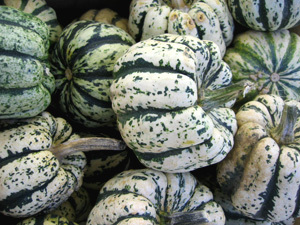 Called pepon by the Greek or “large melon”, the pumpkin is no ordinary gourd – it has become a staple, a widely-known symbol of fall family traditions in America. Many of you only think of pumpkins when they appear annually in Thanksgiving day pumpkin pies or perhaps around Halloween when they are carved to ward off evil spirits. 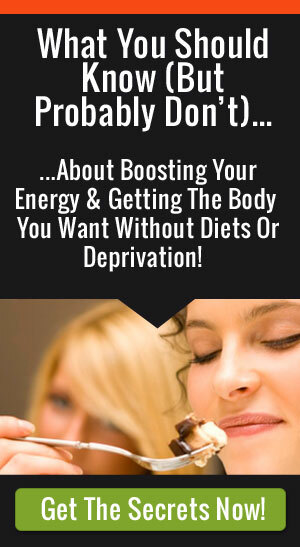 But in terms of nutrition and every day healthy cooking, there is nothing to be afraid of here. Pumpkins are naturally fat free and when baked, steamed, and canned, have a smooth creamy texture which makes them perfect for creating rich-tasting meals that also happen to be healthy. One cup has about 30 calories and pumpkin is high in vitamin C, potassium, rich in dietary fiber and also contains good levels of other nutrients like folate, manganese, and omega 3’s . 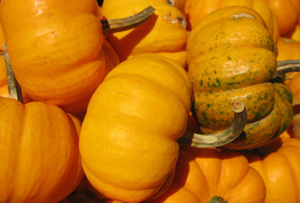 But when it comes to anti-oxidants, they are bursting with beta-carotene which lends the pumpkin its rich orange hue. Beta-carotene is a multifaceted compound that has many health benefits, including new studies in cancer prevention. It is sometime called a “pro-vitamin” , which means that the body changes it into vitamin A, important for eye care and many other functions in the body. No fall festivity or holiday table would be complete without the pumpkin, but try using it for every day meals. 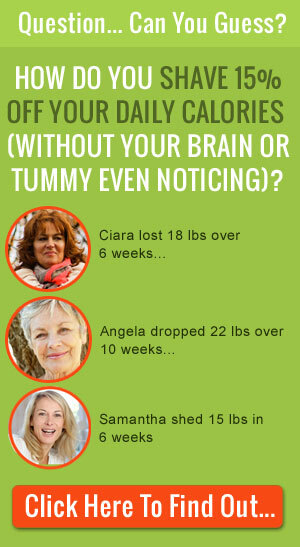 Now that you know about its nutritional benefits, let’s talk about how easy it is to add to your meals in the kitchen. Since pumpkins’ growing season is primarily in the fall, other fall foods – like chestnuts, apples and sage – are not only fresh and in season but make great flavor combinations. Try layering fresh sheets of pasta in between canned pumpkin and part-skim ricotta filling. Top with grated Parmesan or Romano cheese and sprinkle on a handful of walnuts. Blend canned pure pumpkin with chicken broth and some roasted or caramelized onions cooked with fresh sage. Or try out a pumpkin risotto, Arborio rice cooked with shallots, leeks, warm broth and pureed pumpkin. Top with crisp turkey bacon and a dollop of fresh goat cheese or reduced fat sour cream. Or just top with some toasted pumpkin seeds for extra crunch. Smooth, fat free pumpkin puree is a dream when it comes to adding creaminess and moistness to desserts. Instead of using applesauce to lower fat content in desserts like cake, brownies, and soft cookies just substitute the same amount of pumpkin. Try layering pumpkin with your favorite non-fat yogurt or mixing it into low-fat frozen yogurt. Pumpkin seeds are a good source of iron, copper, and zinc and just a quarter cup can naturally add minerals to your healthy diet. Since pumpkin seeds are very high in the hard to find mineral zinc, that happens to be critical for taste and smell functions in the body, they are of interest to the medical community. Zinc is currently being studied for its ability to stop cancer cell growth in animal tests and researchers are beginning to investigate it in connection with the fight against prostate cancer. Apart from medical research, pumpkin seeds are just plain delicious and are easy to find already shelled in the bulk isle of most health food stores. They have a delightful crunch and are revered in Mexican cuisine for their versatility and pleasant aroma. When they are not used in rich, spicy moles, they are lightly oiled, toasted, and sprinkled with hot ground chili and a dash of lime, served as a popular Mexican bar snack. There are many ways to enjoy the seeds, just be sure to enjoy them in small amounts since most seeds and nuts tend to be high in fat. Try making a nut pesto by grinding up toasted pumpkin seeds with parsley, spinach, and fresh garlic. Dry-roast pumpkin seeds in your oven (or toaster oven) for a crunchy topping for salads, soups, and on sides dishes like sauteed spinach, or plain steamed brown rice. 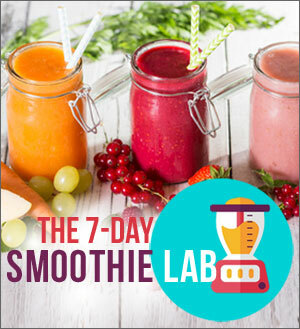 Add a tablespoon to smoothies made with non-fat yogurts and fresh berries. The oil, mainly composed of polyunsaturated fats, has an unusual color ranging from brown to emerald green that can change depending on how it it used, in small amounts or heated. 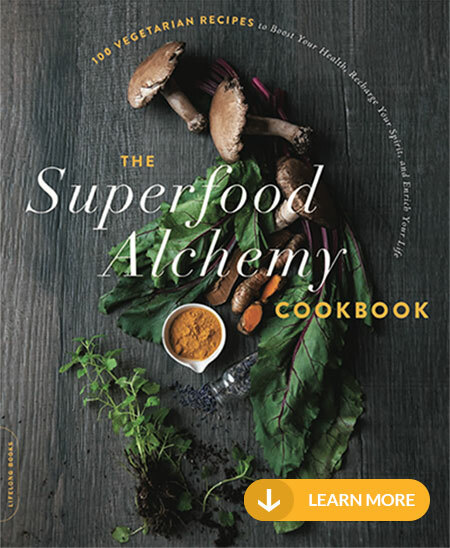 Many chefs combine it with other oils due to its strong taste before using it for salad dressings, to toss with pasta dishes and top rice and vegetables. Pumpkin oil can be tricky to locate and a bit costly though its lovely scent and unusual taste might draw those curious culinary buffs who want to try something new. What’s Your Thoughts On Cooking With Pumpkin? Leave your thoughts, suggestions and comments below in the comment section. Try Pumpkin Bread Pudding, a low fat dessert for your holiday table. 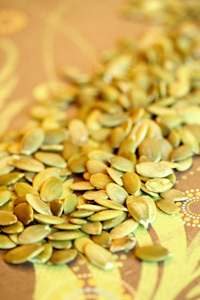 Find out what top nutritionist Joy Bauer says about pumpkin seeds. Read more about the history and health benefits of pumpkins from the World’s Healthiest Foods. Eat fresh, find out what else is in season!